Adrien Broner, very possibly the boxer with the single most offensive attitude imaginable, just cannot help himself it seems. 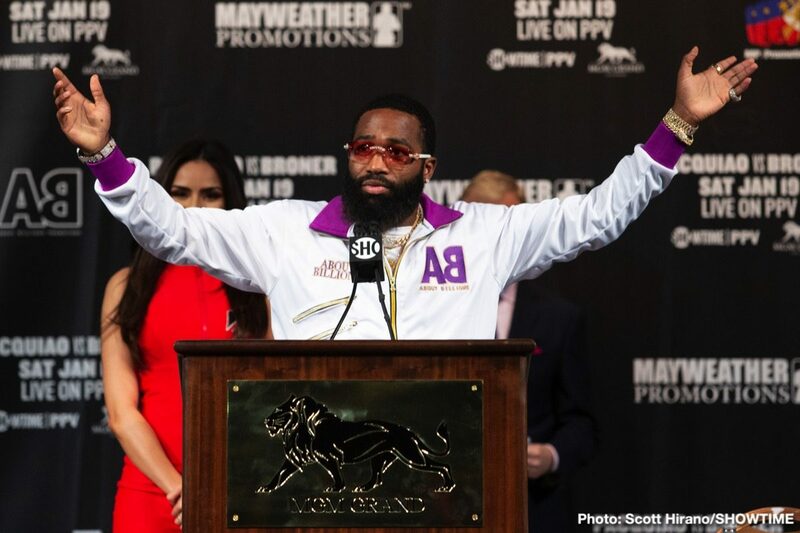 Already owning up to a long list of crimes and misdemeanour’s, Broner’s latest indiscretion is perhaps the most vulgar, the most offensive. Broner, last seen in the ring being spanked by a 40 year old still got it Manny Pacquiao, took to his official instagram page earlier today, and “The Problem,” (a man who clearly has quite a few problems and issues that need sorting out) let loose with a torrent of abuse aimed at gay people. It seems almost an age ago now when Broner, a young and naturally gifted boxer, seemed set for true superstardom. Called, by some, ‘the new Floyd Mayweather,’ Broner even managed to come across as quite charming and likeable. Now, after suffering defeat in his biggest, most hi-profile fights, this man-child would not be missed if he never fought in the ring again. Expect an official apology from Broner in the coming days once he realises the kind of trouble he could be in. But it seems it will just be a matter of time before Broner implodes once again.